Antioxidants. Coffee is loaded with antioxidants like chlorogenic acid and melanoidins. # Liver cirrhosis. 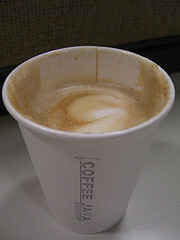 Coffee drinking may protect against liver cirrhosis, especially alcoholic cirrhosis. Now I know why I follow a night of JagerBombs with a morning of Starbucks chasers. I thought it was for the hangover. Three sounds about right (I just finished my third of the day, and that’s my average). But I aim to not have any after Noon since it could prevent me from having the most restful night’s sleep possible, which might drive me to have a fourth – or more – the next day. But you need to balance the potential good with the potential harm, especially dehydration during cold winters, which will have you reaching for the skin moisturizing cream.